Embed from Getty Images Needing a dependable second baseman. The Detroit Tigers, got a gift when the son of MLB legend Roger Clemens fell to them in the third round. He projects as a very good middle infielder. Kody Clemens, from the Texas Longhorns, began his college playing days at third base. Late in the 2016 season he under went Tommy John surgery. Texas moved him to second base. As they say the rest is history. Due to a loss in arm strength after surgery Clemens, took off at second base. More comfortable Kody’s offense took off. He was named Big12 player of the year. He is lacks range but that should not hurt him. He projects as an everyday second baseman. He plays with great energy. He can pull the ball or go the other way. For a second baseman he has pop. He projects as a 20 homerun player. Al Avila, really nailed this draft for the Detroit Tigers. He went for game changing players. He found them. This has been the best Tigers draft in years. The first five players taken by the team all project as future all-stars. Suddenly, the Detroit rebuild is not all that bad. There is a bright light at the end of the tunnel. Embed from Getty Images The Detroit Tigers, needing to add another bat to the prospect pool went back to high school. Drafting 6′ 4″ outfielder Parker Meadows. A pick being applauded by MLB experts. Meadows, is the brother of current Pittsburgh Pirates centerfielder Austin Meadows. He has plus raw power. Not too mention for a big player he has a nice compact swing. He generates a lot of contact at the plate. Parker Meadows, is blessed with outstanding speed. Like his brother Parker figures to be roaming center field. 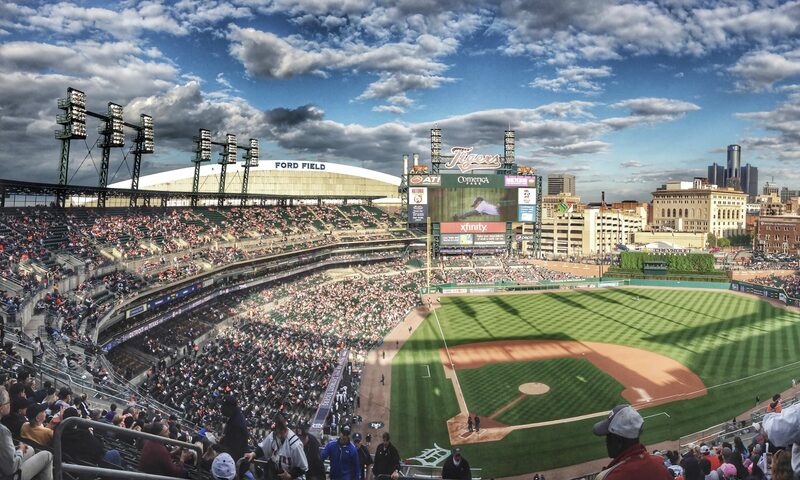 Detroit Tigers, fans should be happy it will be at Comerica Park. He has an outstanding arm and plays excellent defense. This is a player who much like his new teammate and Tigers, first round pick Casey Mize will speed up Detroit’s rebuild. Detroit Tigers, fans and I’m sure front office can smile as they can picture an outfield of Daz Cameron, Parker Meadows, and depending on what choices are made either Christian Stewart or Nicholas Castellanos. 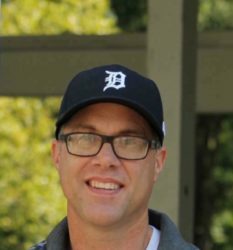 Detroit general manager Al Avail has done a masterful job during the 2018 MLB draft. Getting players that despite age are MLB ready. Speeding up the rebuild while setting a new blueprint for other teams to follow. Embed from Getty Images The Detroit Tigers, already with a good group of pipeline pitchers added the best pitcher in the first round of the 2018 MLB draft. University of Auburn pitcher Casey Mize. His 2.95 ERA is good. However, what pops off the stat sheet is 151 strikeouts while only walking 12 batters. Casey Mize has pinpoint contol. That is very good news. Mize, was widely viewed as the best player in the draft. The Detroit Tigers already stockpiled with pitching prospects added an absolute gem. A four pitch (three of them plus) Casey’s bread and butter is his split finger fastball. What is impressive is that Mize does not rely on one pitch. He throws them all. Now he has the makeup and charater to take his place along former Detroit pitchers Mickey Lolich, 2018 MLB all of Fame inductee Jack Morris and Justin Verlander. That is a fantastic group of pitchers all of whom sport plus pitches. By drafting Mize the Detroit Tigers have now sped up the rebuild. Mize very well could be in Motown at some point next season. Embed from Getty Images He is 6’ 5” and has made the transition from third base to right field. At 26 years old Nick Castellanos is playing his best baseball. The Detroit Tigers, in a rebuild already have a young big bat at Triple-A Toledo in Christian Stewart. However, Nicholas Castellanos, is a bat you simply don’t shove to the side. Castellanos, is hitting .346 with 6 home runs along with 32 R.B.I’s. Nick has gone on record as saying he wants to be in Detroit long term. for the rebuilding Tigers, he could be a great trade chip bringing in 2 top prospects. There is no easy solution. Detroit general manager Al Avila, will have to assess what is best for the future of the organization. It is easy for fans to say keep him. It is easy for fans to say trade him. Keeping him means stay the course and let the rebuild take 3-5 years. While trading him means knock a year or so off the rebuild process. Conceivably, the Detroit Tigers could keep Castellanos and when his is major league ready place Christian Stewart at designated hitter. That way the team would have two quality bats capable of hitting a home run. If a team on the bubble of making the playoffs offer a good deal then all bets would be off. As much as I like Nicholas Castellanos, and have enjoyed watching him become an All-Star caliber player. Much like Detroit pitcher Michael Fulmer, trading Castellanos speeds up the rebuild and gets the team closer to playing competitive baseball again. I am glad I do not have to make the hard choices Al Avila is going to have to make. I do know that whatever is done it will be with the big picture in mind. And that is a good thing. Embed from Getty Images He is a very good, very young pitcher. The Detroit Tigers, need to trade the former American League rookie of the year. Never mind that he is only 25 years old and he is under control for four more years. Michael Fulmer, can speed up the Tigers rebuild. This is a hot debate for Detroit Tigers fans. Fulmer, is an outstanding pitcher. He is young and under team control for four more years until he can hit the open market as a free agent. It is no secret the New York Yankees, are interested. That is a good place to start for Tigers general manager Al Avila. The Yankees have a top three rated farm system. It will take a lot to pry a talent like Fulmer away. The Yankees, who have a history of getting players they need for a championship run are likely to bite. That would speed up the Detroit rebuild. The Yankees contacted the Tigers last winter in hoping to reach a deal. They currently have two starting pitcher injured. While the organization has several prospects that are about ready to make the jump to the majors it would help them grow together and learn to win together. That can not be over stated. As much as Michael Fulmer, brings to the mound and as difficult as it would be parting with him. The temporary pain of loss as well as temporary pain of the team taking a step back will be soon forgotten when the top prospects begin to land at Comerica Park. For me it is a no-brainer. Trading Michael Fulmer, needs to happen. For the big picture. Detroit, will be able to knock two years off the rebuild by trading him. They will be able to return to competitive baseball in 3-4 years. Embed from Getty Images The Detroit Pistons, brought in senior adviser Ed Stefanski last week. He is being tasked to bring in the teams next general manger. This is a critical next step Detroit must get right. Weeks after Detroit Pistons, owner Tom Gores fired head coach, team president and general manager Stan Van Gundy. He reached out to other NBA owner to find a person who would oversee the hiring of important front office personal. Ed Stefansky was the overwhelming name that Gores contiuned to hear. Stefansky, has helped the Lakers, 76ers and L.A. Clippers, rebuild their front offices in recent year. He has the reputation of knowing the dynamics need to run a team. He has a knack for finding general managers who few people have heard of and let them grow into the position. Tom Gores, has point blank to Ed Stefansky, to bring in a general manager first. Names like Shane Battier and Jerry Stackhouse are being tossed out for the position. I am sure there will be other names as well. This is a HUGE must get right moment for the franchise. The general manager will bring in his head coach. It is very possible Stefansky will have a say in who that coach is given his sparkling resume on turning teams around. Detroit Pistons fans, can be somewhat happy in the fact that Gores is actulayy seeking help for his team. Not only help. But proven help. It will be interesting to see where Ed Stefansky leads the Detroit Pistons. It is a safe bet it will be in a better place. Embed from Getty Images As the Detroit Tigers, are in deep prep for the 2018 MLB draft. Let’s take a look at how to identify a good hitting prospect. There are a few key components to be aware of when watching a batter. It is more than step up to the plate and hit. Much deeper. Hand-eye coordination, leads the discussion. The batter must be able to track the ball with his eyes and put the barrel of the bat on the ball. “Barrel accuracy” is a term often used by scouts when scouting. Balance, is very important. Very rarely is a MLB hitter off balance. This is taught to kids through the minor leagues. Head position, is a must. The batter needs to be able to see and track the ball clearly. Scouts pay close attention if a batter pulls his head when swinging. Hand speed, hitters with quick hands can whip the bat through the strike zone and make contact. Hand speed generates bat speed. Hitting the opposite way, in today’s game MLB teams seem to put a premium on players who can hit to the opposite field. Big game performers, baseball is a game that hinges on every pitch and every hit. Clutch hitters are a must for teams. The bigger the game the bigger the pressure. Scouts want a player who craves this situation. Pitch selection, is a hitter chasing bad pitches? If they are the player will be over looked. Nothing beats a good eye at the plate. As well as a hitter who can foul pitches off to stay alive until the get a pitch to their liking. I hope this helps. That you can take a peek into the world of scouting. Embed from Getty Images To most fans players, pitchers to be exact are judged on wins and losses. However, when gauging a pitching prospect that all needs to be thrown out the door. Here’s why. This is what Detroit Tigers and other teams need from pitching prospects. When grading a pitcher there are certain things to watch for. 90 mph is the cutoff. If a pitcher can hit that consistently he grades high. In today’s MLB pitchers must bring the heat. Command is the next most important item. Can the prospect hit his spots. If he does then he will shoot through a minor league system. If not he must develop command. Mechanics arm position/slot must be good to avoid any injury. Lower body control and mechanics go a long way in letting a team know how good a picher will be. Competitiveness is a must. No matter if the pitcher is on or struggling during a start. How they focus is key. It is best to draft a pitcher who attacks the strike zone. Coach ability will top flight prospects take in what coaches are telling him? It may seem silly but many prospects have been tossed away for being hard headed. Wins and losses are no way to tell if a pitcher is going to be elite or not. Embed from Getty Images He is blessed with world class speed. He can score goals. He is not very good defensively. He has big lapses in his game. The Detroit Red Wings, must decide what to do with the gifted yet flawed winger. When is it too early to cut ties with a player? Andreas Athanasiou is 23 years old. In nearly three full years in Detroit, Athanasiou has 43 goals. Which is not too shabby. However, Red Wings coaches and front office believe Andreas should be producing more. There has been a stall in his development. One minute he looks like a hall of fame to be player. Then he disappears for long gaps. Sometimes games pass and he was nowhere to be seen trying to help the team win. In short Andreas Athanasiou, stops competing. He is not good on defense and his board work is well along the same lines as his defense. So how long should a rebuilding Red Wings, team wait to see if he will choose to help and be the player scouting reports say he should be? Detroit, is in a bit of a pickle because of his limited ice production there is not much of a market for an occasional goal scorer. In a day and age when nearly every NHL has put a premium on two way players Athanasiou, falls way behind. The question Ken Holland, and the coaching staff must decide is do they trade him for a bare minimum return and hope he does not put it all together in another city? Or stick with him and hope that he grows up and grows into the roll he should be in? With young wingers like Tyler Bertuzzi and Evgeny Sevchnikov already gaining more ice time because they do play two ways at a high level game in and game out they seem to have placed Andreas Athanasiou, behind the eight ball. Athanasiou, is doing himself no favors. The Red Wings, will soon make the call. Embed from Getty Images All rookies have been signed. Now it’s time to get to work on the 2018-19 Detroit Lions, football season. OTA’s are set to open this week. Here is my short list of what to keep and eye on. Left guard: who lines up there first isn’t an indicator of who will start week one. Or week one of the pre-season for that matter. Graham Glasgow, Laken Tomlinson and Joe Dahl will be competing for the starting job. Running back; Detroit Lions, fans, coaches and front office will have all eyes on the mess that is the worst rushing attack in the NFL. Not sure Kerryon Johnson is handed the job. It seems like the starter will be veteran tailback LeGarrette Blount. Linebackers: This may be the most athletic group Detroit, has ever had with a linbacking unit. All three starting linebackers Jarred Davis, Devon Kennard and Jonathan Freeny are interchangeable. The backups at least for now are not. That will be up to head coach Matt Patrica and his staff to help them become more versatile. The new coaching staff: trying to place new systems in place is not always easy. Everyone must be on the same page. It all starts with the coaching staff. It will be something fans, media and everyone associated with the team watches. It is time to open the curtain on another season of football in Motown. It will be interesting to see it begin to unfold starting this week.